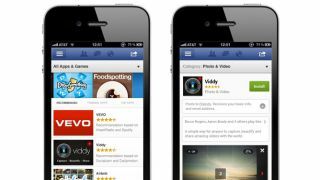 A new report from the BBC has warned that advertisers spending a fortune in an attempt to get their pages 'Liked' on Facebook may be wasting their time. A popular Facebook page is considered one of the best ways to reach customers in the social media era as it delivers information directly to the news feed on products users have expressed interested in. However, an investigation has found that those liking the pages aren't always every day consumers, but computer-controlled spam profiles that are liking thousands of pages at a time. That means companies advertising their page on Facebook in an attempt to win those all-important 'Likes', may not be getting the right amount of bang for their buck. The BBC's Rory Cellan-Jones put the theory to the test by setting up his advert for a bagel company targetted at the US and UK. Within days there were 3,000 likes from all over Asia. Facebook makes its money from these advertisers, so naturally has denied that this is a significant problem. The higher the Like count, the more it gets paid. The social network estimates that around 50 million of its 900m+ profiles may be fake.